Our beautifully designed rides poster needs some help! Have you a couple of hours to spare per month for some easy, desk-based homework to help with rides publicity? Want to hone your Word skills? In a few months the rides team will be losing the key input of Penny Partridge who has done a sterling job for several years turning our rides programme into an eye-catching poster using our professionally designed template. We dearly hope to have Penny back with Bristol Cycling after a year away but in the meantime we could really use some support to keep the monthly programme on track. 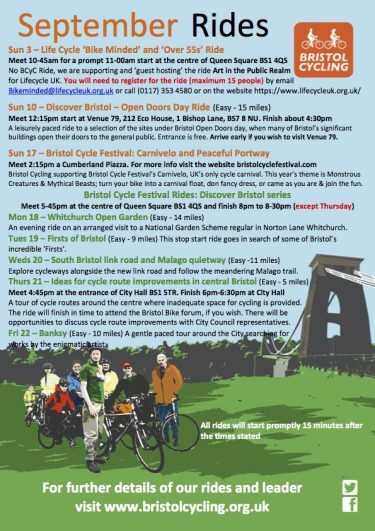 If interested please drop Chris a line via rides@bristolcycling.org.uk or call 07810 785569.